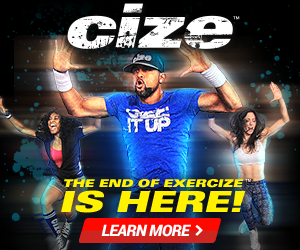 Shaun T's Focus T25 - Special Promotion! Home > Workouts > T25 > Shaun T’s Focus T25 – Special Promotion! The Best Focus T25 Deal is HERE! Focus T25 has arrived! 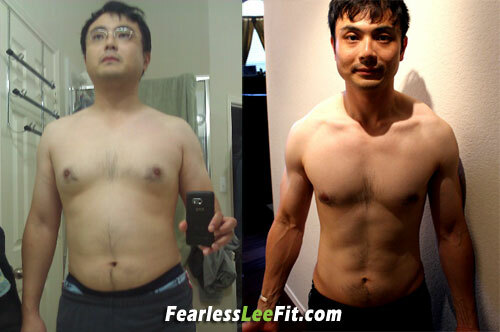 Get ripped with the official Beachbody Focus T25 Workout in 10 weeks! You get 4 Free gifts, a Bonus DVD “Core Speed” and FREE coaching when you order from me, an official Beachbody Coach! Be the first to own it, get done with it and brag about it! Why Challenge Pack? The FOCUS T25 Challenge Pack is the BEST deal! It comes with your first month supply of Shakeology as well as a 30 day FREE trial of the Club Membership! **FREE $20 Amazon Gift Card I’m throwing this in out of my own pocket as an incentive for you to order the Challenge Pack! The $20 Amazon Gift Card will be mailed to you after 30 days from the date of ordering. This is a limited time only offer. Not applicable if you sign up for coach account or if you return the order. FOCUS T25 – Complete Workout in 25 Minutes! Now check this out: Imagine that you now can workout 5 days a week (as opposed to the 6 days a week per P90X or INSANITY) and for only 25 minutes each time, how AWESOME is that?! All Shaun T asks is that you give it 100% for 25 minutes. That’s it! You’ll get great results. This workout program is very similar to those in INSANITY, INSANITY the Asylum and the Asylum Volume 2 where there are some cardio, some weights and very limited rest. But hey don’t worry – it’s only 25 minutes. You probably take longer shower than that LOL. By ordering the workout from me, you’ll also be automatically making me me your FREE Beachbody Coach. I can’t wait to get my hands on it! I would love for you to join me on my workouts with FOCUS T25! Core Speed. Push hard, burn fat, and get shredded in record time with the FREE bonus workout DVD Core Speed (a $19.95 value) when you order FOCUS T25 through me. Here’s a sneak peak. ENJOY! You get 4 free gifts, a bonus DVD “Core Speed” and Free Coaching when you order from me, an official Beachbody Coach! Cheers and keep digging deep! Want to lose fat while retaining muscles? Check out Tony Horton’s new P90X3. Get ripped in 30 minutes a day. if I buy thru you will i get the 30 day guarantee??? or is the offer still avaiable??? @ChristelArnberNielsen No, Teambeachbody.com doesn't do split payments. When you signup for a coach account, you'll be offered the opportunity to get the P90X3 Challenge Pack during the checkout process. The challenge pack will still cost $180 (for this month only) for coaches BUT the coach signup fee of $40 will be waived. Plus, you get 25% off the Shakeology that will be auto-shipped to you monthly starting the second month (the first month's Shakeology is already included in the challenge pack), and 25% off any other fitness programs and supplements that you might order from Beachbody. @shesstrych9 Yes it's still available! All - please note that Beachbody is now charging $2 for shipping and handling. I need more explanation about the monthly shakeology charge. How much is it cost every month andcwhat I get? @ichacruise007 The free shipping promotion is over but Beachbody is only charging $2 for shipping. Yes, the $20 amazon gift card is still available and will be emailed to you directly from me roughly 30 days after you place the challenge pack order. @ichacruise007 The first month of Shakeology is included in the challenge pack order. In the subsequently month, Beachbody will send you a month worth of Shakeology flavor(s) of your choice and in the packaging that you prefer -- a 30 day supply bag or 25 easy-to-carry single serving packets.